It's that time of year again! Time to make dating sims! 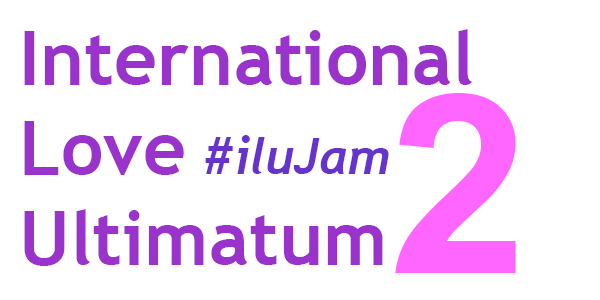 Last June I organized the first ever #iluJam for romantically-themed games. And I'll do it again, too! We had a great turn-out of brand new and experienced game-makers. I was so proud of everyone's contributions and efforts. And if you missed out last year let your regrets soon be lifted, you have another chance soon in June 2016! The International Love Ultimatum is your opportunity to spend a month building a romantically-themed video game. Dating sims and visual novel adventure games are usually the most common entry type but others like RPGs and text-only Twine games are completely valid! I like to keep the genre selection open, just make sure a theme of your game is LOVE. Here are last year's FAQs to help you figure out what everything is about. Tearing down the 4th wall one fantasy romance VN at a time.